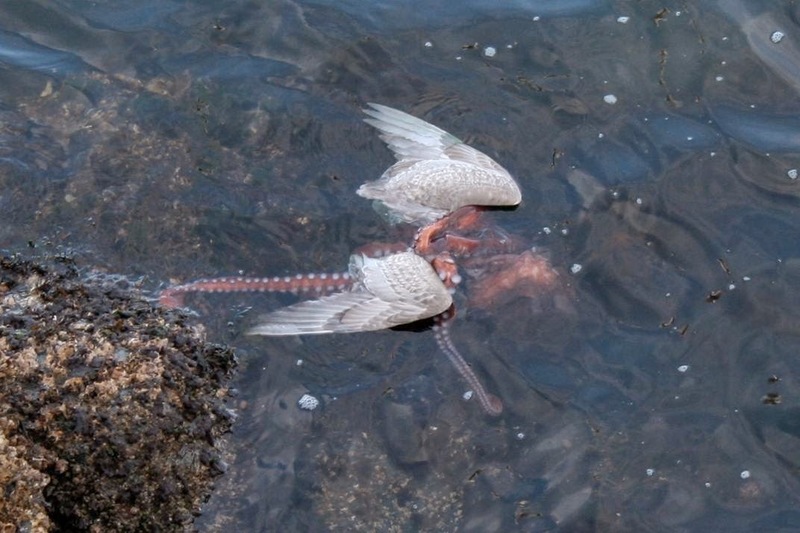 I'd like to think the Octopus was laying in way amongst the murky depths before it rose up and snatched this unsuspecting seagull and took it back from whence it came like some kind of B movie. The picture was taken by Ginger Morneau of Langford, a suburb of Victoria, British Columbia. it case it wasn't clear, it's an octopus eating a bird. Taking snaps of the battle between the beasts while out on a run, she noted the seagul was ' was fighting actively' the octopus as she came across the two. She had time for some quick snapping before the bird was taken to the depths below and eaten by the probably well pleased octopus. Time then to read this guide on making good homebrew.